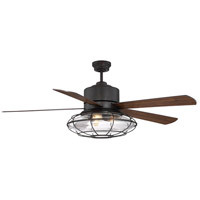 Look cool while you feel cool with the Connell 5-blade ceiling fan, artfully designed by Brian Thomas and manufactured with pride and precision by Savoy House. 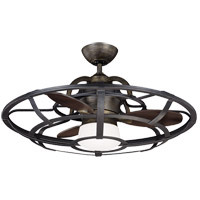 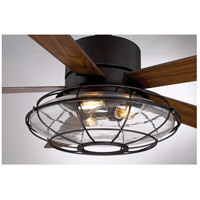 Like the many lights in the Connell family of products, this industrial style ceiling fan features a metal cage surrounding a clear seeded glass shade that houses three bulbs. 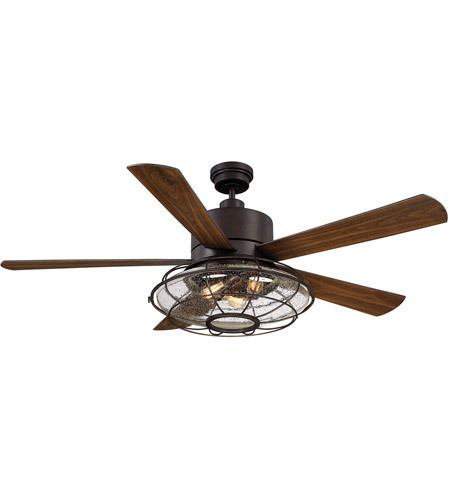 Finished in deep English bronze for an authentic, aged look, it’s the perfect ceiling fan for rustic, transitional and industrial decors. 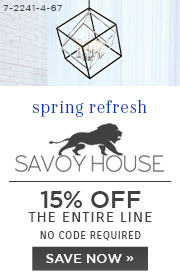 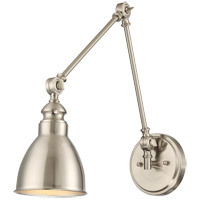 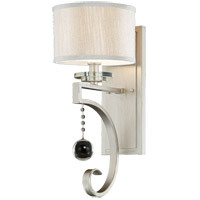 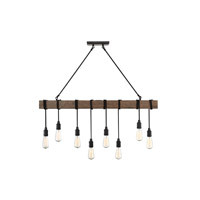 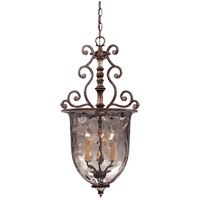 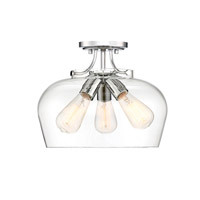 Hang it in the family room, great room, bedroom or bath, and pair it with Connell sconces, bath bars, pendants or a trestle for a look that is cohesive yet cagey. 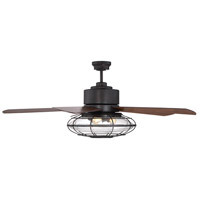 Wherever you use it, you can enjoy the convenient handheld remote that makes controlling this fan a breeze.